In the early 1990s, there was a brief period between the amateur and professional eras called the “shamateur” era. Players still couldn’t be paid above board, but the standard of play was increasing and players were becoming fitter and more skilled. To keep players putting in the hard work necessary to remain competitive in the shamateur era, often players at big clubs would find wads of cash in their boots after the game (“boot money”). These days, though Rugby Australia might find it difficult to cram thousands of bills into Israel Folau’s boots every game, many legacies of the shamateur era still linger. The rest of the world has finally entered the professional era and the Wallabies have been left behind. This is a result of Australian rugby’s high level of success in the late 1990s – while other countries were racing to modernise their game, Australia sat pretty on a pile of trophies and squeezed their collective eyes shut to the future. 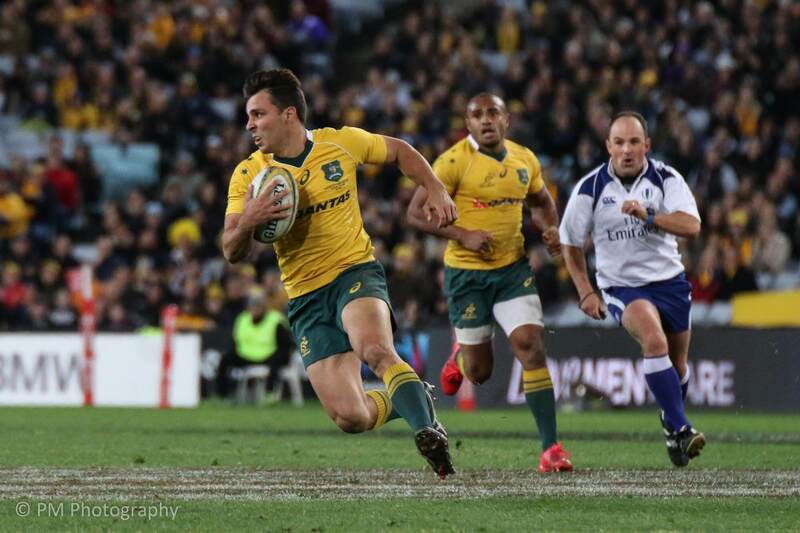 Rugby Australia talks a big game about their high performance unit and other fairly recent developments, but changes have yet to be made at the most crucial level – on the field. When you watch the All Blacks, you see fifteen players with minds of their own. Sure, they have teamwork, but individually most of those players know more about the game than anyone outside of the Wallabies playmakers. Any tiny opportunity presented to them is immediately seized with both hands because regardless of which player the opportunity is presented to, they all have the skills and experience to recognise and take advantage of it. 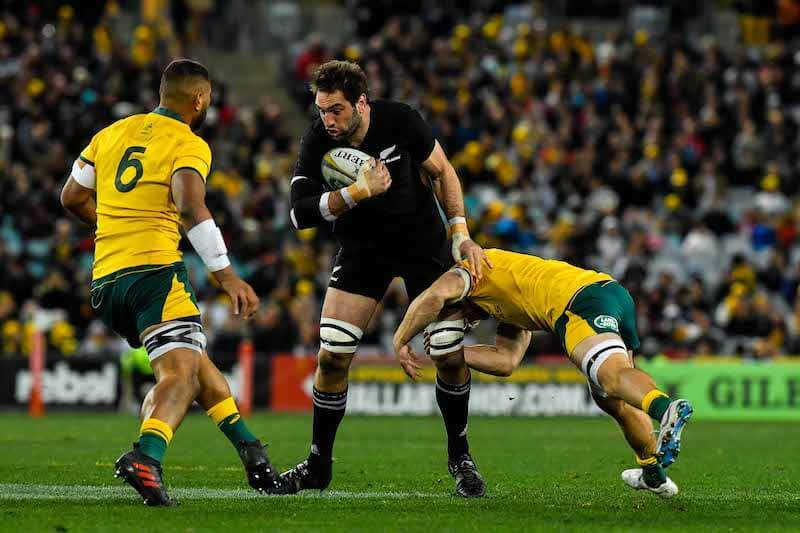 Front-rowers like Dane Coles and Owen Franks each have more rugby intelligence and better strategic vision than the entire Wallabies tight five. Pretty unfair though, isn’t it? To compare a prime All Blacks team to a struggling Wallabies outfit? Except that it’s not only the All Blacks. Rugby intelligence is coached at every level of New Zealand rugby. Players who have been exposed to the Mitre 10 Cup as their highest level of rugby are still making the right decisions in both big and small moments. Even provincial Kiwi forwards are contributing to their teams’ success outside of their traditional skillsets. Some of these Mitre 10 and club veterans look like veritable gods next to their higher-paid Wallabies counterparts simply because they have mastered not only how but when to draw and pass. Certainly, my intake of breath is sharper when it looks like Adam Coleman is going to do anything with the ball other than take it to ground as compared to any unknown up-and-coming Kiwi reserve second-rower. A lot of young Aussie players I speak to tell me that they are being coached to follow increasingly rigid on-field procedures. This is a virus that has infected every level of Australian rugby. Michael Cheika himself is a huge proponent of set plays, the vast majority of which are so bleedingly obvious to a punter like myself that genuine rugby brains like Steve Hansen and Joe Schmidt could probably dissect them blindfolded. This is a key distinction between nations and coaches that excelled in the shamateur era and the period immediately following it, and those that have done the hard yards and modernised their game. Watch any Wallabies set piece and you will see every player in green and gold shuffling to a pre-determined position for at least two and sometimes four or five phases afterwards. 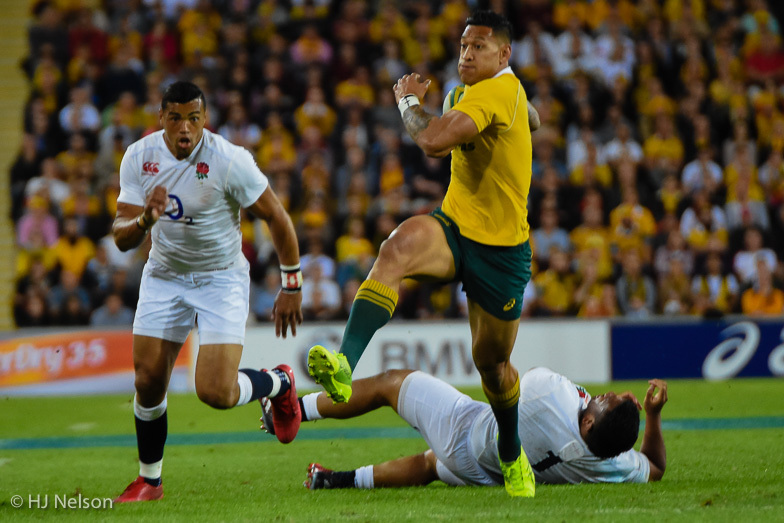 Against Tier 1 nations this almost never bears any fruit, and often skilled opponents can predict these plays and put the Wallabies’ ball under immense pressure. Now watch any All Blacks’ phase in open play. Their playmakers are lingering, waiting for their opportunity like sharks circling a sinking ship. Most of all, they are watching. The Wallabies sometimes don’t notice overlaps or mismatches because their eyes are fixed on the next position they have been told to run to, but the All Blacks convert almost every minor mismatch into points. Yes, there is something to be said for superior All Blacks’ execution, but the fact is that most Australians are coached via rote learning where to run to after every phase while the All Blacks are coached to understand the game and make independent decisions. One other significant benefit of this school of thought is that it is much more adaptable than simply running the same set-plays against different teams. In the first Bledisloe game of 2017, the All Blacks identified Samu Kerevi’s defensive weakness and exploited it to run in 7 tries in 40 minutes. If Samu Kerevi had been wearing black that night, the Wallabies probably wouldn’t have noticed the weakness, and if they had they wouldn’t have known how to score tries off it. Nick Phipps in space – but what are his options? 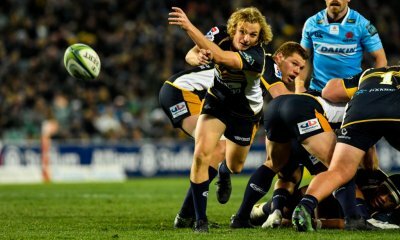 It doesn’t help that anyone who shows the ability to think for themselves seems to be relegated to the bench in favour of Cheika’s tried and trusted on-field box-tickers, such as how the unthinking workhorses of Nick Phipps and Dane Haylett-Petty are consistently selected over players with initiative like Jake Gordon and Tom Banks. It’s a further indictment of the Australian development system that Jake Gordon was not developed through Australia’s representative pathway, but played almost solely amateur rugby before forcing his way onto the Waratahs. Our professional clubs tell players they’re not good enough for a contract, but after a few years’ exodus in New Zealand they become shoe-ins for the Wallabies simply because the Australian system is inadequate for the task of developing a competitive modern rugby player (Pete Samu). Australian rugby has a lot of problems, but perhaps the most devastating is the lack of rugby IQ being taught to our young players. Our development system needs to shy away from set plays and assist junior players in learning how to identify opportunities. In many ways this will require simple game time moreso than structured training. Training should instead focus on perfecting the skillset necessary to exploit these opportunities. Once these initial steps have been taken, Rugby Australia can finally begin the process of taking the money out of the boot and moulding the Wallabies into a professional world-class team. Nice one Cameron, a lot of this rings true unfortunately. And considering those glory days of the late 90’s and early 2000’s it’s quite disappointing. I would say that all teams go through ups and downs, but what makes Australia’s circumstances unique is the fact that we have such a competitive sports market here. A few years of being losers at the international and Super Rugby level has crushed rugby’s popularity, and this has flow-on effects to youth pickup of the sport and revenue. I think that whoever takes the reigns after the RWC needs to immediately get the Wallabies a series of high-profile wins in order to recapture the sport’s appeal – just like Eddie Jones did with England after they crashed out of their own RWC in the group stage. It’s easier said than done though, and in the meantime there need to be more long-term changes made behind the scenes. I’ve been saying exactly this for years. Look through my past comments on this website. It’s the same reason players like Israel Folau get coached out of form after their first few years, they join the sport with a natural ability to read people and score tries, and over the years become a robot playing some boomers set piece game plan book. Rugby IQ is a real thing and is literally the answer to Australia’s problems. Its deep ridden. I’ve played rugby from U/11s to Colts & school rugby and never once were we taken to a class room or discussed rugby theory. Training was only ever done with a focus on skills or getting your plays right, with zero time spent looking up at the opposition. Please put this article on Chiekas desk. Thanks for the support! I agree with you that the Australian system is bad for players with natural talent. Highly-skilled players like Matt Giteau, James O’Connor and Quade Cooper get pushed out of the system in favour of willing lackeys, and the ones that do make it are “coached” beyond repair as in your example with Folau. Evening Cameron, that’s a very insightful article. Being an absolute Kiwi fan I love what you’ve written although I do think you may have overstated the skill set of all Kiwi rugby players. I do agree on the premise of the article and hark back to Deans saying he was trying to get the Wallabies to “play what is in front of you” but really struggled to get it agreed to. To be fair I think some of the coaches are trying to do this but they’re certainly not in charge of the Wallabies at all. Deans was always so taciturn, almost grumpy, and that might be why he lost the playing group in the process of trying to convert them to a less structured style. Ironically if he’d had Cheika’s motivational appeal he might have been able to get it to work. It seems our problem is we’ve had coaches with the skills and coaches with the motivational ability to drag Australia into 2010s-era rugby, but never both in the one body. Perhaps Link could have done it with more time. We’ll never know! I have been considering a second article along these lines – Cheika is a fantastic man-motivator, but he lacks the strategic understanding of the modern game that coaches like Steve Hansen, Warren Gatland, and Joe Schmidt have. Instead of a dichotomy between Deans’ style and Cheika’s style, an ideal for Australian teams would be a mixture (or even a combination). A fantastic article! I admit I may have oversold the Kiwis a bit, but it was in service of creating a contrast. I’d still say that the average skill level is much higher across every position, particularly the forwards, in New Zealand. As for some of our coaches trying to get players to play what’s in front of them, I did see some promising signs particularly at the Brumbies towards the end of last year, but we’ll have to see the new season before we can make any serious observations. Thanks Cameron. Hear hear. I’ve said it before here, but it became most apparent to me after watching 240 minutes of exactly the same dross over 3 weeks the last time England toured. This is almost ironic, because while that series did showcase the Wallabies’ inability to adapt, England is probably the Tier 1 nation most similar to the Wallabies in style. And it’s not just because they have an Australian coach either – England shares many of the same issues in their development system. I agree with the article and have articulated the same sentiments often enough in the past. We have bred a whole generation of players who look fantastic in hot-tubs and budgie-smugglers but have the Rugby IQ of a grass-hopper. Once again it comes back to junior developments: if the guys getting picked into programmes are only the big and the strong, and their measures of success are reps and sets and the ability to follow the witches-hats, then that’s what comes out the other end. Furthermore, if your ‘next-gen’ is set by the U19’s, then the late bloomers (which usually includes the smart ones) wind up going OS because there is no ‘file & form’ on them. They get squeezed out and so drop off. My old man used to say (usually after you screwed something up) ‘Don’t be surprised when a sheep grows wool Boy’. Too true. I think the same reasons that the Wallabies looked good in the late 1990s applies to rugby when played by anyone from contact age to about 20 – the game is less professional and many bodies are still developing, so players who can learn set plays and who are bulkier than their peers look brilliant to selectors. When the smaller and smarter players catch up, they’re forced to go through amateur rugby pathways which is a tough ask when there are bills to pay, which in turn leads to an overseas exodus like you’ve said. You’ve also touched on another issue in Australia’s development system, which is that RA usually fast-tracks players from the schoolboys and U20s teams into representative rugby. I think there’s a lot to be said for letting young players experience club rugby for a few years before being thrown up against All Blacks. I wonder if a bloke like Hamish Stewart could be better developed by letting him play a few seasons in the GPS. I offer my humble career as an example in terms. Now up-front I am NOT saying I was ever going to be a Wobbly or even remotely close. But a long time ago in a galaxy far far away I came out of schools footy as a handy 2nd XV type and didn’t ever play 1st XV. So I completely missed ‘The Chosen Few’ boat. But exposure to constant, consistent, hard-nosed Tight5 at Club footy then had me playing Country and State 19’s & 21’s shortly thereafter and by a happy serise of accidents led to a fantastic extended time in Scotland, Wales, IR and even a little French rugby whereby I came back to Oz in my middle twenties as a journey-man No2 or pinch No3 and understanding tight-play to a point where I actually don’t talk too much in club-land about it because some fk-wit fullback will reckon he knows more. The point is, the guys who come through and who aren’t lifting ‘this’ or static-jumping ‘that’ fall away and all that remain are the guys who look like condoms stuffed with walnuts – and about as smart as that too. It’s a self-fulfilling prophesy and downward spiral. I have an early-twenties nephew right now who I would pit against just about anyone in this country and who is suffering the same fate – so i’m in his ear to take his boots and bugger off North. A fantastic article Nutta, I agree entirely. Kids like Hamish Stewart, Ned Hanigan, and Taniela Tupou need experience playing regular games before being “fed” to the best players in the world, as you so succinctly put it. If Will Jordan was in Australia he’d already have 30 caps under his belt (although in the gist of my article above, if Damian McKenzie were Australian he never would have made it past amateur level). Thanks mate, a Rivetting read. Aim at Piper and hit Genia? Certainly not going for a run himself, that’s for sure. More importantly WTF are Phipps and Genia doing on the field at the same time? 6-2 bench. Phipps ended up on the wing. His best position. Many valid points, except… You’re wrong about our tight five. Because our tight five – well, our front rowers – are actually very good. Kepu threw more passes that set up tries against England than the entire backline (i.e. he threw the pass for Folau’s first try, he created the space for Toomua that set up the first (disallowed) try to DHP, and the only other try (Folau, again) was scored on the siren off a grubber kick through). So, you’re being overly generous to the intelligence of our playmakers (maybe not Genia, maybe not Toomua, certainly the other incumbents). Kepu is a centurion with over a decade of experience. The others aren’t as good as him, and even he is too big and slow to keep up with the rigours of the modern game. I used Adam Coleman as an example for a reason, though our other second rowers aren’t much better, and we do have similar issues in the backline. I also focused on the forward pack because one of the points I was trying to make (sadly cut for word limit) is that modern forwards need to be active on-field athletes and decision-makers. There are issues in the backs too though, DHP totally botched a try late this year (I can’t recall exactly which game now) after making a great break by failing some basic decision-making. Genia is probably our best playmaker but he seems totally stifled at the international level, which is either a product of teams being able to focus on him more because there are no genuine threats in the rest of the Wallabies backline or because he’s been told that is job is to service the flyhalf rather than play the game himself. I’m not sure that Kepu’s that much slower than any other SH props. Tupou’s excellent, I saw him trying to run switch plays with wingers last year (for the Reds). And our best performance all year – the second half in Argentina – was all based on the quality of our front row. I’m not saying that our locks are as good (though Simmons – hated as he is – is a pretty solid linking player when needed, threw some great passes for the Tahs last year, along with their loose forwards). Rodda looked genuinely clueless on field so many times last year. My key point is that our playmakers aren’t near as rugby smart (or perhaps generally intelligent) as you’re crediting them. Given you said they might match the ABs for rugby intelligence. I consider our playmakers to be one of our weakest areas… And our front row is closer to the AB front row than our 10/12/15 is to their Kiwi counterparts. In terms of Genia, he’s clearly got it tough, hasn’t he? Doesn’t go into the ruck to secure the ball and gets pilloried all over the internet, but is so consistent in doing that – and in selection – that one can’t help but think he’s filling the coaching brief. You see him furious (the way he told off Jaco in the Bledisloe last year was brilliant), but I don’t know that there’s anything more he can do. DHP’s botched try? Was that the one where he and Phipps couldn’t figure out how to work together at the end against England? I actually blamed Phipps more for that one… And Phipps is far from our worst support runner. Tupou is excellent, but see my discussion with Nutta above regarding what i think of selecting him consistently for the Wallabies. The Brumbies’ front row is coming along but Cheika still consistently selected more Waratahs, especially in the first half of the year. For some reason Cheika selects front rowers who don’t even start for their Super Rugby team (see Tolu Latu). Daryl Gibson has realised that a modern rugby team needs to be leaner and fitter and has spent three years phasing in smaller more athletic forwards like Michael Wells, Damian FitzPatrick, Jed Holloway and Harry Johnson-Holmes. I agree that our playmakers are also worse than the Kiwis’ in rugby IQ, I only credited them as being equal to or better than the ABs’ piggies. That is the correct botched try and again I don’t disagree with you regarding Phipps. There’s a phrase you hear on UK TV rugby commentary a lot – the game is won and lost in the top 3 inches. It’s usually accompanied by holding your thumb and forefinger to the temple and somewhere near the top of the head. Now, you can argue that smart players running set piece play patterns and not giving away stupid penalties are using their top three inches, and I’m sure Cheika et al would do that. But smart, empowered players making smart decisions everywhere on the pitch in general works well for teams away from New Zealand. Whenever England don’t dominate the Six Nations, it’s because a team can face their power and outthink them – Ireland and Wales have done that most often in recent years and been good enough to win the title, but individually Scotland can do it on a given Saturday even if they can’t necessarily do it throughout the whole tournament, and Italy have certainly outthought the English even if they don’t have quite the depth of talent to survive and win the games. Is it too early to dump on Cheika? I wonder if his business background is really counting against him here? He motivates people but he probably wants easy to determine patterns in the same way many bosses want basically a production line. Yes, there are many industries where that’s not true, but more where it is. Set plays give you a production line appearance – and he can honestly say “the boys trained well.” The problem is those pesky opposition managers who read the game plans by watching the video and counter them. If you have predictable moves – and the Wobs certainly do – then they’re easy to counter. This comment hits the nail right on the head. England play a similar style to Cheika’s Wallabies in many respects. Also agree about the production line thing, Cheika is like the boss who fills his office with incompetent sycophants while the genuine talent leaves to join the ranks of the competition (thankfully we have eligibility laws in rugby to keep them from competing with the Wallabies at the highest level). The reason the boss does this is because it’s what got him to where he is today, but he doesn’t recognise that the industry has changed in the meantime. Watching the ABs play, I’d be surprised if they plan any set plays at all other than 1-2 phases after a set piece, and the ABs are often one step ahead of the rest of the world. I’m sure they do have set plays from set piece that are planned out further than that, you see them set things up for plays that look like they’re going to develop over 5 or 6 phases that other teams use too, albeit not that often. But some of those plays where you put a winger straight behind the scrum, or straight behind the 10 typically take several phases to unfold. What I’m sure they do differently, is they practise broken field, heads up rugby, what happens when the play goes wrong too, running support lines for offloads and all the rest, so when the set play runs into good, lucky or inspired defence it usually doesn’t just go boom, and end up as a mess – someone is there who can take the offload or the pop pass or whatever that wasn’t in the play book, change the play on the spot and something else flows from it. Most other teams in the world can’t. What Ireland managed to do was shut down their attack so hard that those offloads and resets weren’t happening and suddenly the ABs looked mortal. I think we’re comparing apples and oranges. The ABs obviously have some guidelines about where to be and to stand, and probably a general idea about how many phases in which direction they want to play in each circumstance, but it’s much looser than the Wallabies’ system. It’s not just that they practice for mistakes and broken fields. I do agree with what you’ve said. It wasn’t very clear in what I said in this particular comment, I was thinking wider than just the AB vs Australia for the comparison – that’s why my previous comment was about the Six Nations. I think Australia are particularly poor at the spontaneous stuff, at least for a tier one nation, the AB particularly good at it. I would say that England are more towards the Australia end (that’s not just under Jones, they’ve been set-piece oriented for years), probably Scotland, Ireland and Wales in that order at the moment are the best exponents of the more spontaneous style of play in tier 1 rugby after the AB. It might be no coincidence that all of them have, or have had, Kiwi coaches in the recent past, and Scotland replaced Cotter with Townsend who was a bit of a maverick, heads-up player and inculcated that in his players in his previous coaching job. But I think the fact that they do practise these plays, a lot I suspect, and I equally suspect the time that the AB do it the Wobs spend running another set play drill or ten has a big impact. You can coach smart play or you can coach dumb play and I think the current setup coaches them dumb in Australia, but coaches them smart over the ditch. I think the AB’s have set patterns of play, but their great strength is understanding (to use a Bill Bellichek (sic) term in Super Bowl week) situational football. We’re terrible at recognising options. And even when we have them, we’re coached to avoid them. For example, our standard play off the back of a break downfield is to throw the ball to a tight five forward for crash ball. We don’t spread the ball to the openside, looking for a broken defensive line, we throw it one pass off the halfback to a tight five forward running an unders line, generally at the only part of the defensive line that’s coordinated and realigned. No Kiwi team would EVER do that! The ball would go straight to their 10, who’d do whatever it took to figure out which winger had more space and then get him the ball. Ireland’s strength against the ABs was that they understood the patterns used to break down defences, they were aggressive on NZ’s key players (have you ever seen Retallick have a quieter game? ), and then, when the ABs gave the Irish the ball, they didn’t give it up. Their commitment to possession was incredible, as it also was against Australia (look at their YC periods in June, where the Wallabies didn’t touch the ball). A problem with the Wallabies’ defensive system is our 10/12 are regularly on the blind wing/at fullback, so when there is a turnover they have to job/sprint to be closer to the ball, and the impetus is lost. I’m not talking purely on turnover ball. And, honestly, if your 10/12 is at fullback, there’s no reason why he shouldn’t be able to get to the ball. Barrett’s often at 15 for the ABs (given he’s an excellent fullback!). But there’s been times we’ve made a break when in possession, and the first pass off the ensuing breakdown is straight to a tight forward… It’s not just on turnover ball. And the consistency – even when there’s other options around – shows it’s got to be a coached thing. Against Italy, Gordon got to a breakdown quickly off a turnover and threw a pass to a charging Scott Sio (pretty sure it was Sio), a good 15m behind the gainline. It was at 33 minutes into the game. Can you imagine Gibson allowing that? Can you imagine Beale and Foley allowing that opportunity to be lost (given they both want to run the ball) if they had a choice? 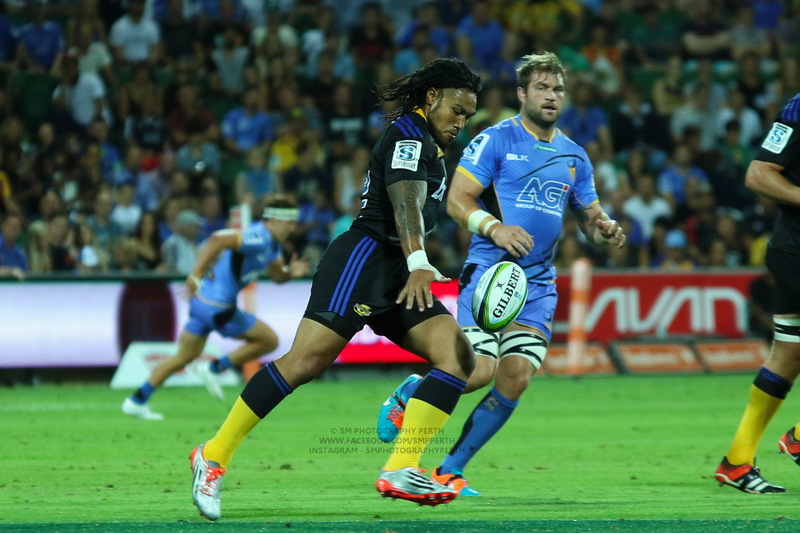 It was off a Kerevi break – whilst we were in possession. To me, that’s pretty clear – it’s coached.